Tremont, Ill. - Students across Central Illinois spent the day at home, thanks to arctic air bringing temperatures far into the negatives. 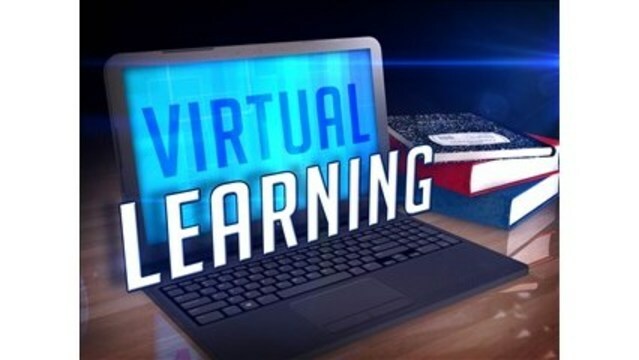 Some school districts opted to try their hands at digital learning days or learn anywhere days. The Conn family is using their time wisely Wendesday, meeting their digital demands. It was a different type of day home from school for fifth grader Matthew and eighth grader Thomas. The Conn brothers had a change of scenery for school from Tremont Middle School to their own kitchen table. "I like it because, I mean like, in school you have to wake up really early and let's say you finish," said Matthew. "Then you have to wait five minutes for everybody else to finish and here you can go at your own pace and you can start at 10 o'clock if you want to." "I'd be in school for like seven hours and I'll be working on my homework for another hour or two," said Thomas. "So I don't get a lot of free time to myself, so this is definitely really nice." Their mom, Angela, runs a day care during the day, so when it comes to learning, she's all for it. "I'm actually really excited about this and I'm wondering why it took us so long to figure this out," said Angela. "It was something I never even thought was a possibility, so when the kids came home talking about it, I was really excited." The digitial learning day idea came from Tremont Adminstration staff to protect students from bracing the negative temperatures, but without forcing them to extend the school year. Angela says she supports the decision. "If they learn the skills now while they're younger that they're ultimately responsible for themselves and the work they do," said Angela. "That translates into creating successful adults." So while the boys continue to push through their math, English, chemistry or social studies, they both agree working from home is better than having a day added in May. "We can just do it all here and if we have questions, I know in eighth grade, we can email our teachers and easily ask them the question," said Thomas. "You can actually do stuff at home and you can finish and like an hour or two instead of going to school for seven hours," said Matthew.